Is interpretation of dreams forbidden in the Bible? No. The Bible teaches that God speaks through dreams and visions (Job 33:14-16; Acts 2:17). We have three men who were among other things interpreters of dreams and visions. Joseph (Gen. 41:1-36), Daniel (Dan.2:19-45); and Paul (Acts 16:9, 10) interpreted dreams. The most important issue is the source of the dream. Some dreams come from God, some from us, and some from demons. Why is God so specific? See Deuteronomy 13:1-5. 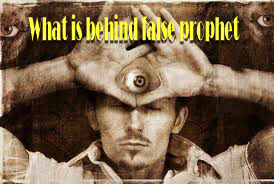 I can remember listening to a man (in this false prophet’s church) who witnessed this false prophet (there have been many) testify as to an incident that happened to them both. They were driving down a street in a town back East, when they saw a house on fire. The false prophet ran into the house through the flames and came back out of the house holding two small children, they were not burned. This was used in an effort to convince all to follow him. I will skip much of this event which involved me and my wife, to say that the false prophet was a man named Jim Jones who led 900 men, women and children to kill themselves by poisoning them. God indeed reveals Himself to us in dreams and visions. Dreams can guide us away from wrongdoing (Gen.20:3-8; 31:24; Matt.27:19). In all our pursuit for interpretations always ask the Lord, wait on Him, fast, pray. He will answer. Yes, there are godly people with a proven history of interpretation, seek them after seeking our Lord. Tomorrow, six things dreams can do. Previous Joseph a dreamer we can learn from. Next There must be factions among you. Looking forward to your next post already, Manny. In the limited study I am doing on false prophets, I have not run across the name “Jim Jones.” I will now have to add him to the list. I also have to add some pics (a new computer is having problems adding pictures for some reason) and the post will be up soon. At the same time, as the scriptures you have shared have shown, we must proceed with extreme caution in this area. Chapter 7 speaks of the Lord showing him a plumb line. There are many such examples in the Bible. Many believe that the verses from Joel (above) speak of today or of days in the near future. I’m not a Biblical scholar, but Halley’s Bible Handbook (which has many dates incorrect imo) calls these verses: “The Future Glory of David’s Kingdom.” The fact that David precedes these verses must mean it has a future fulfillment.. This topic is necessary and important in our day. Chris, about Jim Jones has was a sorry person who founded a cult in 60’s 70’s. here is a link if you are curious. http://en.wikipedia.org/wiki/Jim_Jones. It is neat that you mention Charles Spurgeon as I will be quoting him in a later post when we get to visions. Lets keep looking for the uppertaker, not the undertaker. Very interesting wiki article, Manny. There is no question that Jim Jones was a false prophet. His crazy prophecy in the mid 60s, about a nuclear event that would create a utopia of sorts, makes it very clear.